Course Website: Official Website - Visit The Virtues Golf Club's official website by clicking on the link provided. 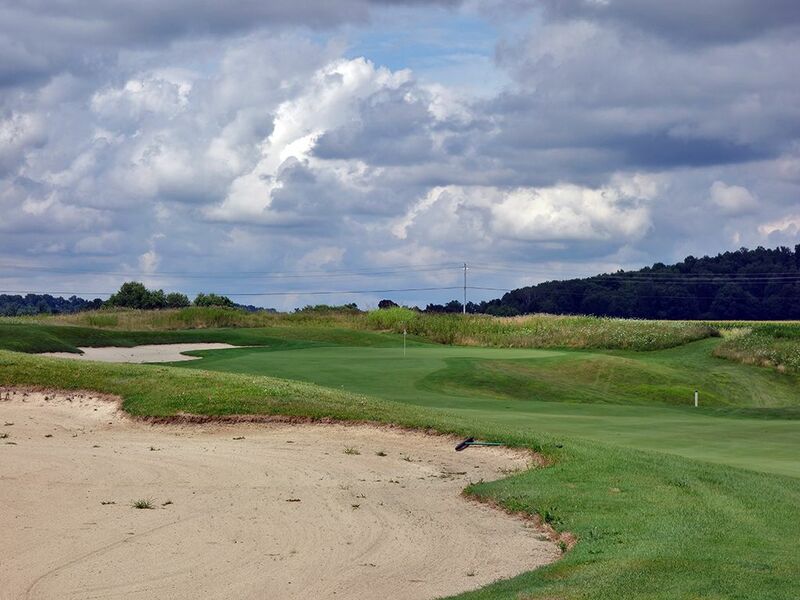 Accolades: Ranked 5th in Ohio on Golf Course Gurus' Best in State list. 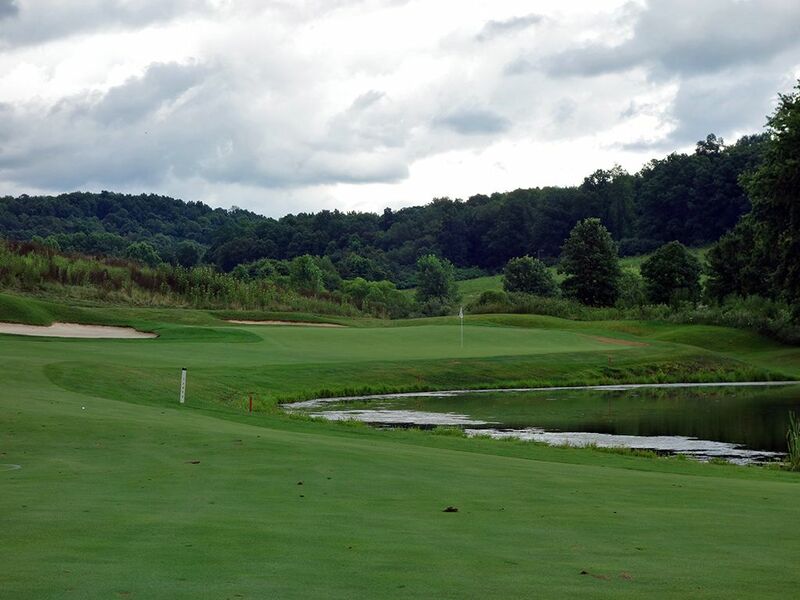 What to Expect: The best and most exciting public course to play in Ohio is Virtues. 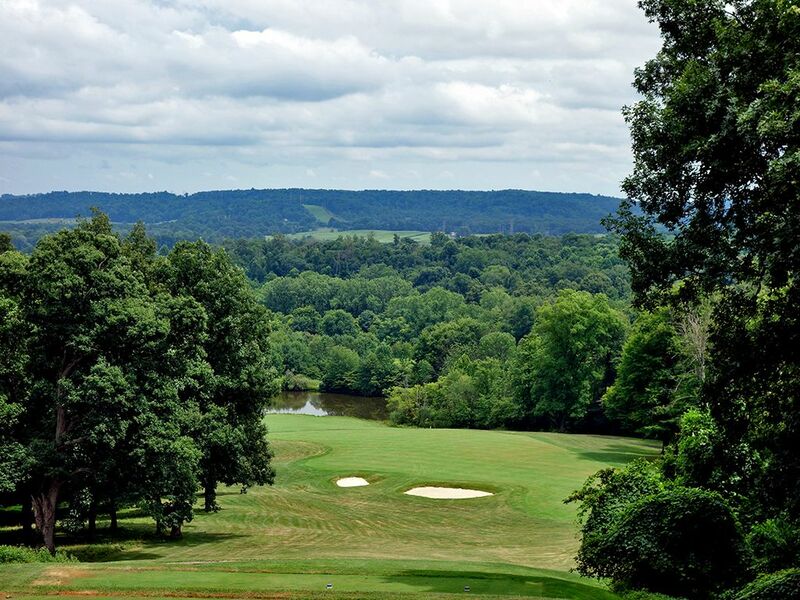 Formerly known as Longaberger due to its development by the long standing basket company that went bankrupt in 2018, Four Virtues purchased the golf course in 2013 and changed the name to Virtues Golf Club two years later. 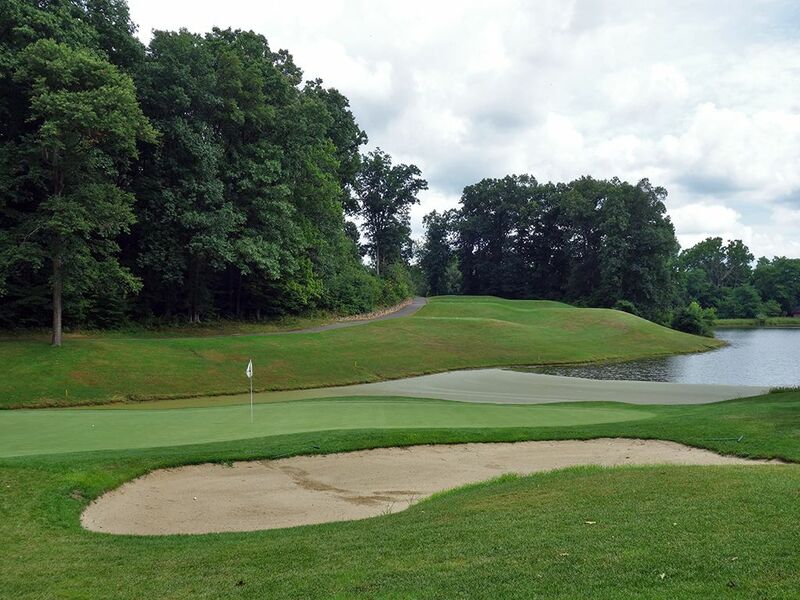 The course enjoys dramatic property with huge elevation changes that contribute to creating some very memorable holes. The isolated setting is a pleasure to experience with rolling countryside and tree covered hills providing the surrounding views. Players enjoy an experience that takes them over hills, through meadows, and in forested areas for a great amount of variety. Well manicured bentgrass is found on the tees, fairways, and greens but suffers a bit from the amount of play the course receives. Still, there aren't a ton of public courses that employ bentgrass fairways which are a pleasure to hit off of. The opening hole sets the tone early at Virtues with an uphill tee shot flanked by a tree in the middle of the fairway before doglegging right and continuing uphill to a green with a severe fall off to the right side. It is an early taste of the elevation changes and exhilarating shots you'll be faced with throughout the routing. If you enjoy walking courses you may find yourself disappointed at Virtues since the extreme terrain will eliminate that option for most players that aren't hanging out with mountain goats in their spare time. In the end, if you want to have fun then Virtues is the course for you with exciting shots and nice views throughout. The course is a good test with a strong finishing hole and is absolutely worthy of its place among the top 100 public courses in the country. Signature Hole: 4th Hole – 563 Yard Par 5 – A tee shot that seems to carry a mile! 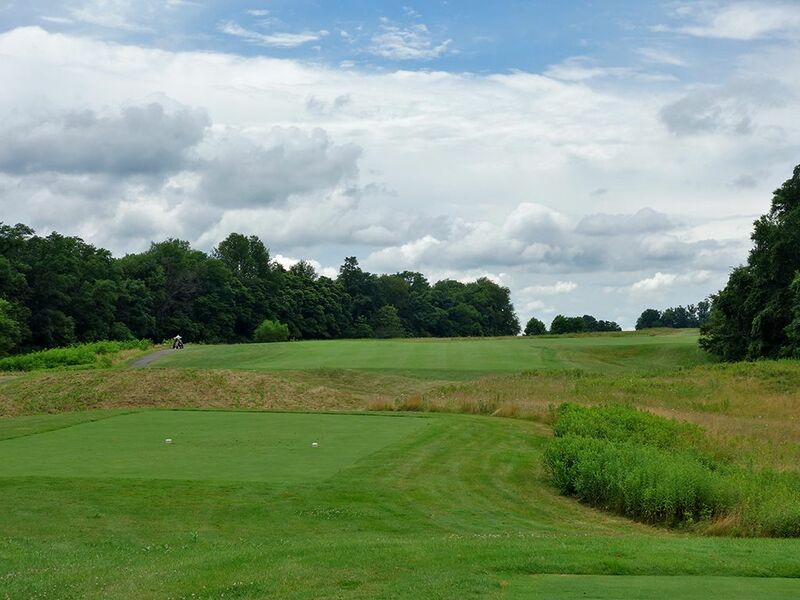 This par five boasts a towering tee box that plummets over 150 feet to the green below where you can certainly gain an extra 50+ yards of distance on your tee ball due to the extra carry and subsequent roll down the tumbling fairway. 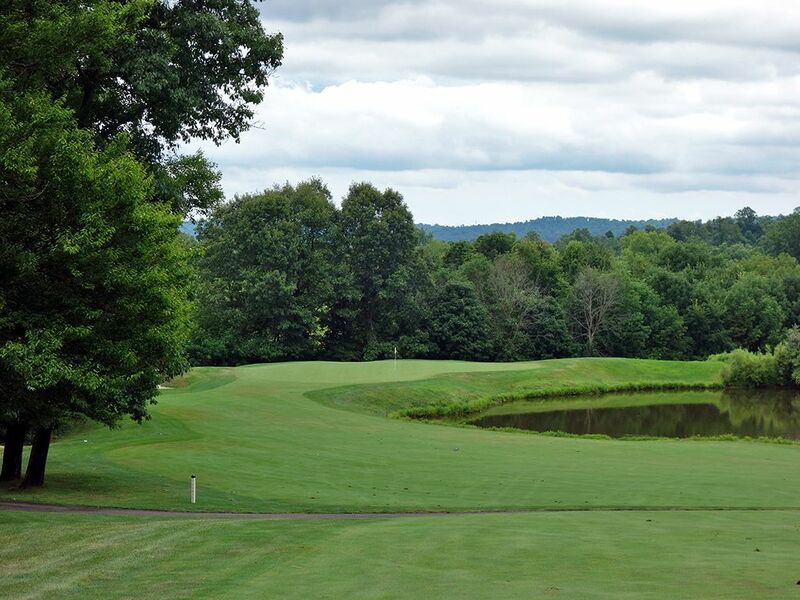 The fairway eventually terminates at a pond that fronts the green and offers just a sliver of short grass around the left side of the hazard next to a pair of bunkers enroute to the putting surface. While the severe drop in elevation make the green reachable in two, the challenging target to hit will make players think twice about how aggressive to be. 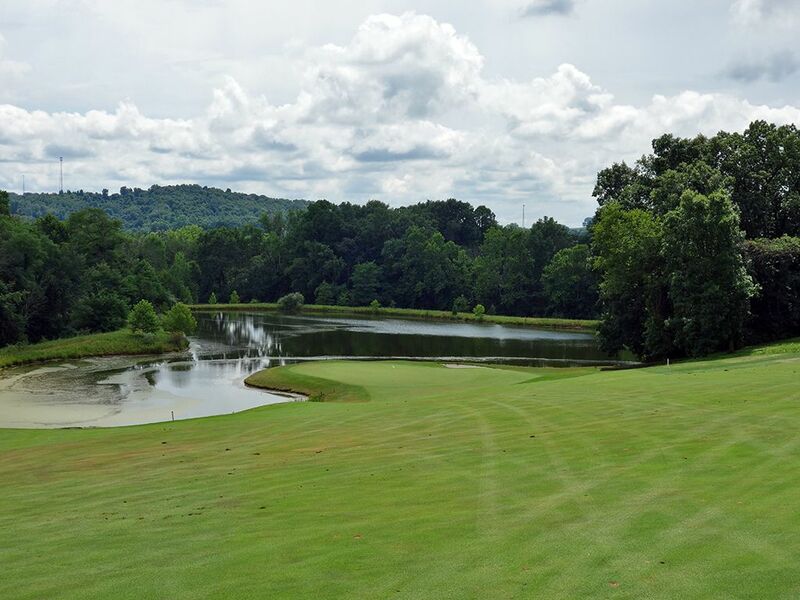 Best Par 3: 9th Hole – 187 Yards – The front nine finishes on this one-shotter that plays over water to a shallow green. There is only 14 yards of green depth to hit between the water and bunker on the left side while more depth is available to pins placed on the right third. Distance control here is critical because coming up short is a watery grave and going long is the dreaded bunker shot back towards water. A high fade is the ideal ball flight and allows for the most forgiveness. 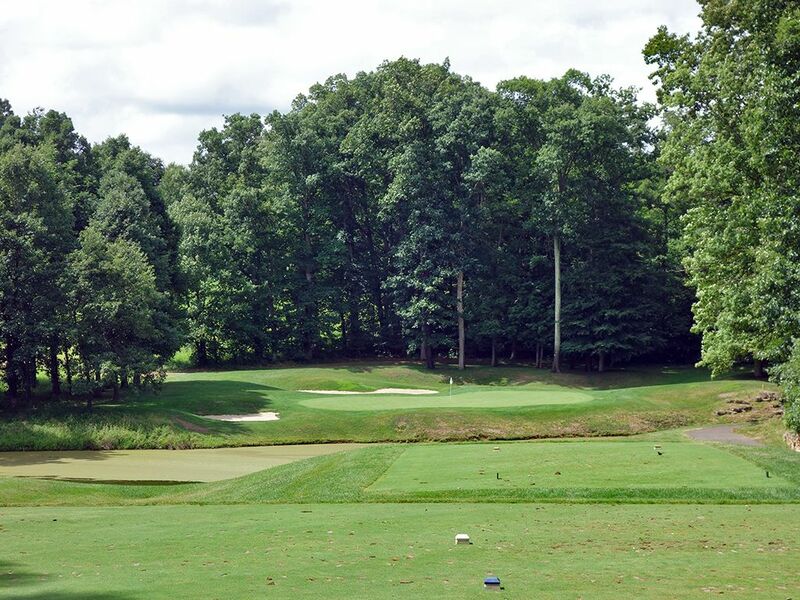 Best Par 4: 8th Hole – 444 Yards – A stellar two-shotter, the 8th hole is as fun to play as it is impressive to look at. 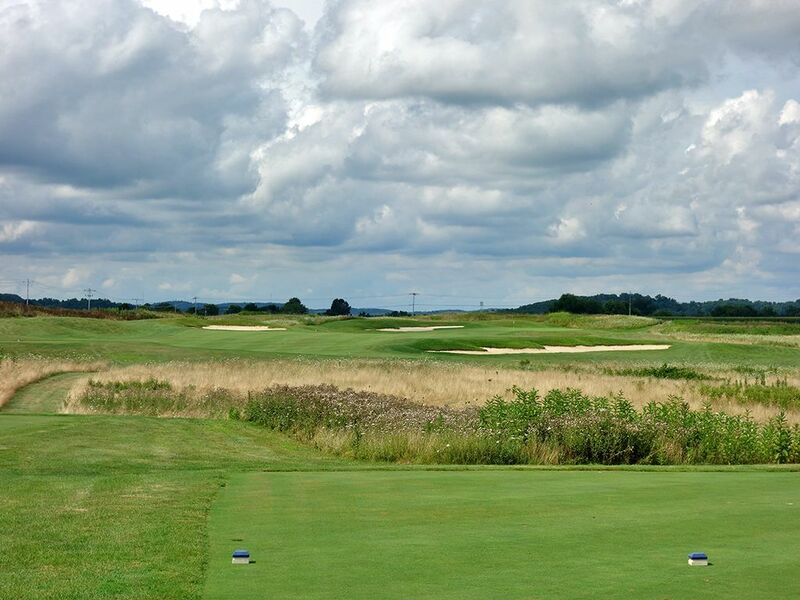 The tee shot plays uphill to a fairway that banks hard from right to left with a matching tilt in the short grass. A large tree sits near the bend of the dogleg and every effort should be made to stay right of it to set up a good view and angle to attack the green from. The downhill approach shot plays a full club less with water coming into play on the left side and rear of the green. 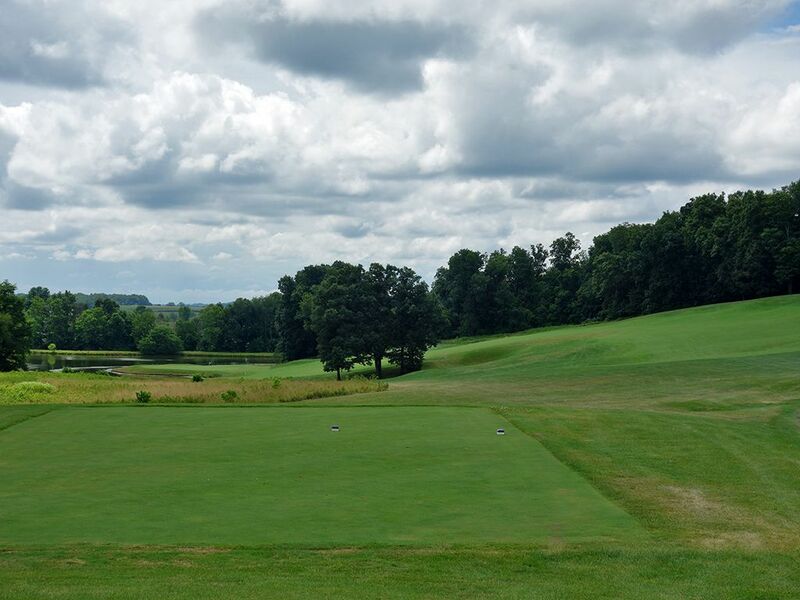 The tee shot and approach shot here combine as the most exciting combo on the golf course. 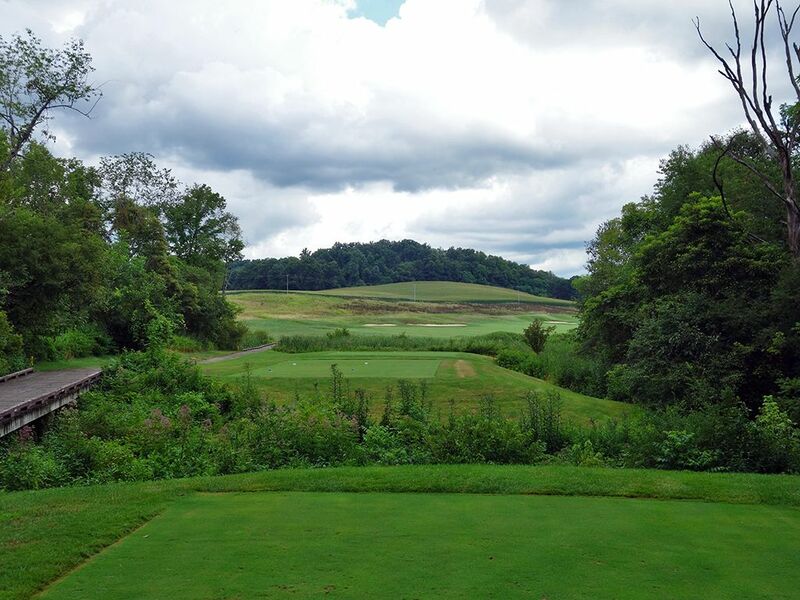 Best Par 5: 7th Hole – 557 Yards – The 7th is an uphill double dogleg that tempts you to get aggressive but can quickly humble you if you aren’t on your game. The tee shot is innocent enough but players must decide how much of the initial dogleg right to challenge since hitting dead straight can go through the fairway and force a layup on the second shot while going too far right can leave you in a bowl of rough. A pair of bunkers pinch the fairway at the 100 yard mark which also sets the point where the hole cuts back to the left away from the player. The fairway continues to rise to the green and leaves the putting surface out of view so you’ll have to trust your rangefinder when flying your ball into that day’s pin placement. It is a methodical hole that is just tempting enough to sucker in the long baller but designed well enough to reward the player that executes well. 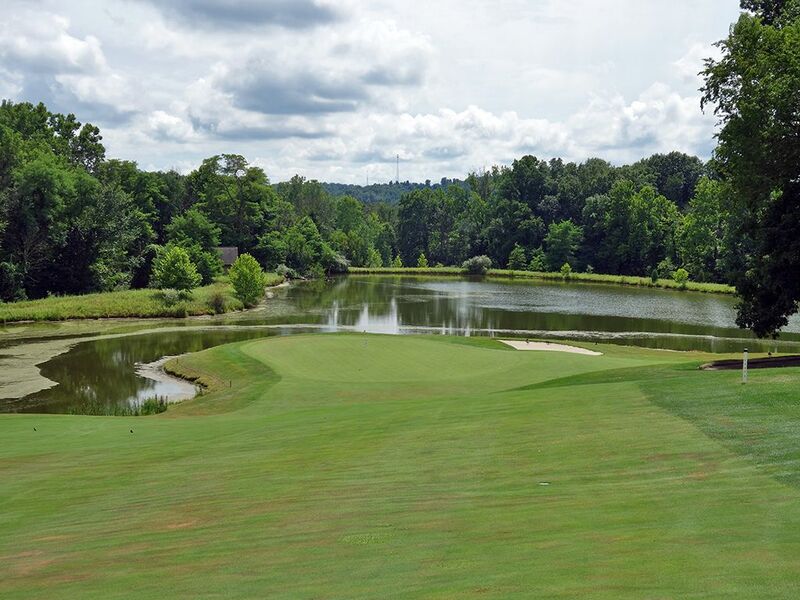 Birdie Time: 16th Hole – 527 Yard Par 5 – The short par five 16th is a great birdie opportunity as long as you avoid the water that runs the entire right side of the hole. 300 yards is afforded before a bunker comes into play on the left side so there is plenty of room to favor that side with your tee ball. The reachable green calls for a fade that starts at the left greenside bunker and cuts back to the putting surface to set up a nice little eagle putt. 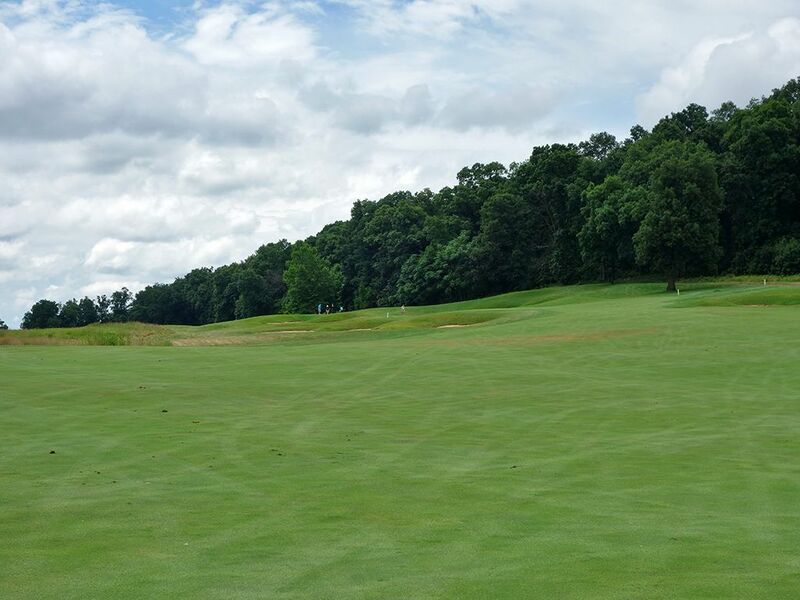 Players not wanting to risk the long approach are afforded a wide section of fairway to layup to 60 yards short and left of the green and will be granted a perfect angle for attacking any pin placement. The is a very gettable hole, so go get your birdie. Bogey Beware: 13th Hole – 480 Yard Par 4 – When speaking with the pro before the round, this was one of his favorite holes because it required two great shots to walk away with a par and his analysis is spot on. 270 yards of carry is required to cover the bunker on the right which gives the most direct line to the green. If you bail out to the left you need to stay short of the bunker protecting that side and will be left with over 200 yards into the green. To make things tougher the putting surface is raised and calls for a towering approach shot to hit and hold the green. There isn’t anything overly fancy here, just a long tough hole that you likely will be trying to get up and down on to prevent carding a bogey.